I just woke up to the news of Steve Jobs’ death. I live in France and the news became public while I was sleeping. I’m hearing that Steve Jobs won’t be at tomorrow’s press event. He’s just not feeling well enough to come out in public, I hear (and yes, that makes me sad, the industry will really miss him and they will see again tomorrow why). I keep wishing that these continued rumors are wrong, but know in my head that they probably are right. and said, “you know, maybe he’s at the hospital or something. One day we might hear he’s dead just like that, out of the blue”. Of course I never expected that day would be today, the day following the event. It really is Steve-ian to have stayed CEO until the last possible moment. Of course the words of Steve’s resignation keep coming back into my head. But like many others I wouldn’t believe they meant his health condition had been decreasing. I thought he wanted some rest for the last years, if not months, of his life. I thought he would be there around the time his biography came out. I thought he would take time to have his house finally built. But no. Like so many geniuses and heroes before him, he fought until the last moment, and Death has come to him sooner than it should. Of course I am still overwhelmed by the news and all the testimonials that are pouring out everywhere. I will take some time to reflect and think about what this news for Apple, even for me. As far as the website is concerned, I was working on the next version that would come out in 2-3 weeks. With today’s news I will transform the project into an online tribute to our greatest hero, the man who has changed the world several times over, one of the greatest innovators and entrepreneurs in history: our Steve. RIP Steve, we will miss you! RIP Steve Jobs. Here’s a blogpost for you. A truly sad day for technologists, entrepreneurs and business people the world over. Steve Jobs gave an amazing contribution to our world and will continue to be an inspiration to us all. RIP Steve. Heartfelt condolences go to his family and friends. Steve – The Techno-Legend Passes Away. Our sincere condolences to his family and friends. May his soul rest in peace – Tychons Team. I’ve began to use Apple devices just several years ago, but’ve been knowledgeable in it for many years before this. I wanna say that the foundation of the Apple company & all their subsequent developments and achievements completely changed the world, and gave us a chance to live in the world of definitely high technologies. The world that we live in is different, and though the loss of such person as Steve Jobs is irreplaceable and bring tears in our eyes, yet the same time he’ll be remembered as a man who gave us this chance, and it places a smile on our faces! With u our world became better! I am truly saddened! RIP. je vous ai vu sur scène lors des premiers salons apple ; les filles étaient encore peu nombreuses dans l’assistance; quel enthousiasme vous nous transmettiez; j’ai été une des premières intérimaire à travailler sur le lisa puis le macintosh; ce fût pour moi une découverte extraordinaire et un coup de coeur merveilleux durant des années 😉 qui ne me quittera pas! j’ai aussi une pensée pour vos proches et votre entourage professionnel. From the start of 2011, I had a feeling that this would be his last year. I didn’t want it to be true. Even in the 80s and 90s he was a legend. In 2000s he only became greater. There will never be another Steve Jobs. I wish his family well. A very sad day in the world of technology. My heartfelt sympathies to his family and friends. I’m truly saddened about the gone of Steve Jobs. I don’t really know you that well Mr. Jobs. I only know you because I see you in TV, in the web, magazines or in the news. What you did in this world just created a great impact on everyone. I just felt so sad after I heard that you passed. You are like a father to me. Taught me a lot, by using the tools you’ve created. Thank you for sharing your own wealth, which I think is your “knowledge”. I’ve learned a lot from you. I lost my father when I was 7y/o. I think I know where you are right now. Please, say hello to my dad if you see him. I wish your family well. Thank you Mr. Jobs for everything. I am going to miss you.. It is really a bad day for all of us, Steve’s fans. . .
You inspired my life, made me dream in a better future and in a second chance. 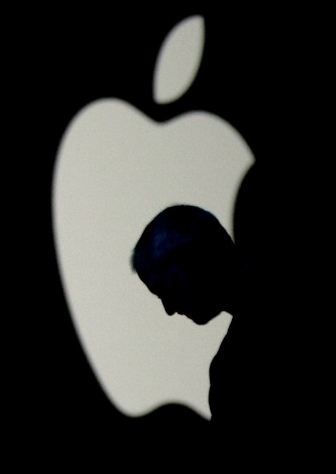 We would like to express our deepest sympathis for the recent tragic and very sad loss of Mr. Steve Jobs. It is always difficult at such times of sudden bereavement and no words or messages can convey the ture heartfelt thoughts that we have for his family and his people. Suffice to say that our thoughts are indeed with all! I’m unable to translate my feelings into words and still not convinced that Steve is not here with us today. The world has lost a visionary and an extraordinary human being. Steve Jobs, the name itself is an inspiration. A very fantastic person has passed away. I began using an Apple in 1986. And after that I was pitying the people using DOS, (remember DOS)? And then in 1995? people saying, whow, we have Windows and I saying so?? I have been having that system for years on APPLE. Steve, to the ever after: You have enriched my “computer” life enormously and I do hope Apple will find a worthy successor, because we will really miss you. But I wish you all the rest and happiness to be found in the Elysian Fields. It came as a shock to me when i hear Steve Jobs passed away. I got this call on my iPhone. i am writing this on macbook. Cant stop tears in my eyes coz the person who gave these things is no more. He was a genius. A masterpiece. He introduced us with technology the way only he could. Be it ipod or iphone or ipad or imac, the perfection and preciseness the products have is out of the world. He made technology not only more advanced but beautiful and elegant. I will miss his keynotes and presentations which i used to wait for with the release of new products or any announcements. The world just lost a priceless gem. May god bless his soul. Dude, thanks for this website. I would love to see the new website. Steve is the reason behind why I do what I do. I am sad. Steve Jobs is one of the key movers of technology that I admire. You’re unique marketing style when unveiling a new Apple product will be always remembered. I liked that so much. he was a great visionary and magic man !whole da world mourn on his departure ! RIP ! It was defiantly sad to hear about Steve Jobs. He will surely be missed. Thought you might like this for your tribute to Steve. I’ve been following your blog for quite sometime now and I must say thank you very much for the painstaking effort you putting together a virtual shrine to this generation’s Edison, Steve Jobs. While you share the enviable thing of having the same birthday with Steve, I do have the most unfortunate thing of sharing my 30th year of existence at exactly the same day he passed on. Nevertheless, good work on this website Romain, and may you share more pictures and trivia bits about Mr. Jobs. And here’s hoping you could re-post Diane Walker’s images of Steve Jobs. I am also a big admirer of Steve’s and felt badly at his passing. When he resigned, knowing him as well as I do, I thought the end was probably near. I wrote about that fear shortly after he stepped down in my own blog (link below). I love your blog but with due respect I don’t look upon Jobs as a “greatest hero.” I reserve the word “hero” to those who risk their lives for others. Steve was many things. I will miss Steve Jobs and will look ahead with interest to see the direction your blog will now take. You left an unbridgeable gap. If was a great man. Thanks, I love you! My comment disappeared probably due to glitches with my device. Anyways..
First thank you SO MUCH for this website and I hope the new design wont lose any ANY, NOT EVEN ONE BIT, of theinfo there already. I think it is awesome. I mean, the world talked about Steve when he resigned, and when he passed. But they move on. And I’m not sure everyone appreciates Steve for reasons beyond the fact that he improved our lives with technology. I mourned for the first time a man I’ve never met, and I mourned sincerely, because I regard him at a very close personal level. Because his approach to wealth, management, leadership, and to life in general make more sense than a lot of people we live with and amongst. Steve is more than an entrepreneur or an innovator. He is so much more. Sorry for the blabbing.. RIP Steve….though Steve is far from being gone. I grew up a PC user because I knew no better. But when I got to college to start my career in video production I used my first Mac and I’ve never gone back. Your biggest fan and supporter of your work in The Bahamas! R.I.P. Steve Jobs! Last year I got Iphone 4, the second apple device. It changed my lifestyle and status. You was really great Steve. R.I.P. Steve Jobs. This was on the Remembering Steve page over at apple.com. I thought it was one of the better things I read there, because it expressed what allot of people seemed to be feeling. Hopefully it’ll get some traction and inspire a few people besides myself. I grew up with Steve and Apple. Some of my best childhood memories lie at the intersection of a best friend, Steve’s creation(s), and myself. Now that he’s gone we worry a little about the things we may never see. It’s really painful. But one of the cool things about Steve is his ability to inspire and create in everything. And in his passing he has created millions and millions of people who don’t want to see a world without him. Out of those millions there are many feeling such intense emotion right now that it will deeply affect their souls for good. Even more, the thought of living in the absence of the incredibly different world they feel they’ve lost, is so painful, that it will actually drive and inspire them to make sure that the future ahead of us is not only as good as it could have been with Steve, but even more beautiful, more pure, more honest, and more inspiring. It really hurts. But we want to see this world. Steve’s loss will create thousands of these seeds in an intensely meaningful way. They’ll do it for him. But even more, they’ll do it because they want to live in a world even better than the one they think they’ve lost. They won’t be digital clones, but they share his DNA. They’ll evolve through it, like nothing could have. And there are so many more of them now than there ever could have been had he been able to stay. So thanks Steve! Thanks for this last(ing) new creation. It’s a lovely gift. This is my homage to Steve Jobs, I hope you like it. ……..Steve jobs, thank you very much!